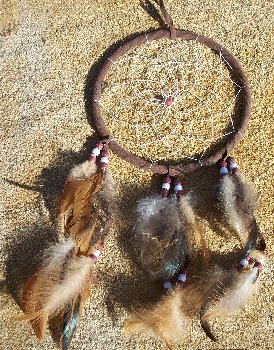 A wide variety of Dreamcatchers are offered here ranging from the traditional cedar style to the more unique antler style and finally to the modern Chindian style. Another offering here are various shield varieties. Smudging is the practice of burning herbs to remove bad smells, bad insects, and bad vibes. 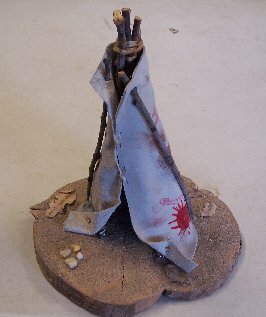 This was traditionally done by many native groups. Offered here is a limited quantity of smudging herbs and paraphenalia. 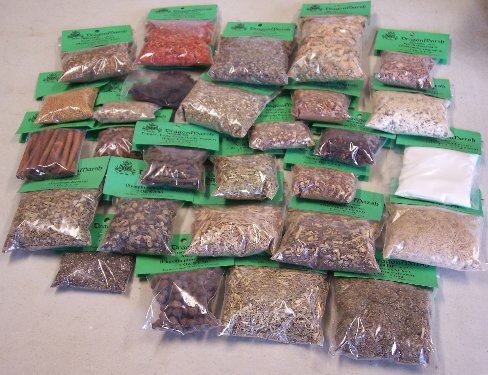 A number of the herbs prepared by Dragonmarsh and found in our Trading Post. Only a limited number are currently available. 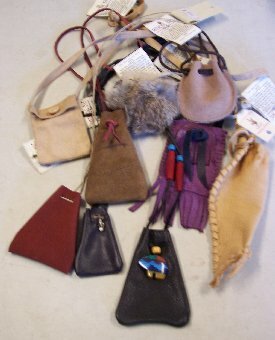 Medicine Bags contain items that reflect the story of your life and the dreams of what your life might be. Choose here a medicine bag and a selection of items to put in it. Some musical instruments that are produced by Phoenix Obsidian Designs are offered here. 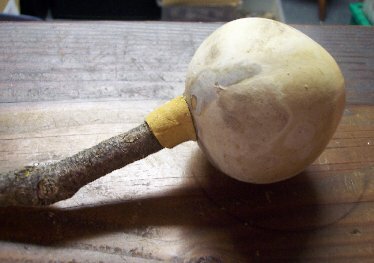 These include rasps, rattles, and drums. Here you can find a combination of items that have a degree of cultural signifance. These include Talking Sticks, Dance Fans, and Teepe Replicas.